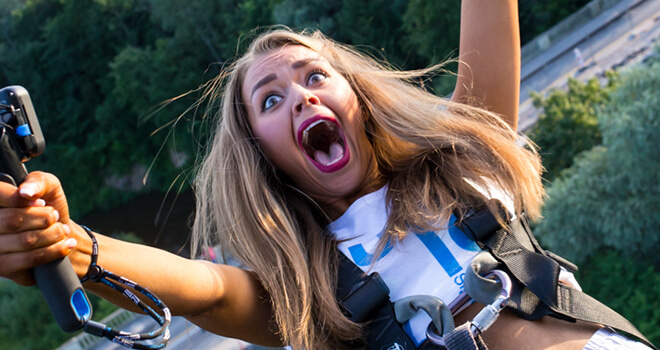 You will never forget this day if you will choose to try a bungee jumping in Riga. Even if you do prefer the extreme adventure, this leap will get your heart to beat faster and feel tremble in legs long after it. 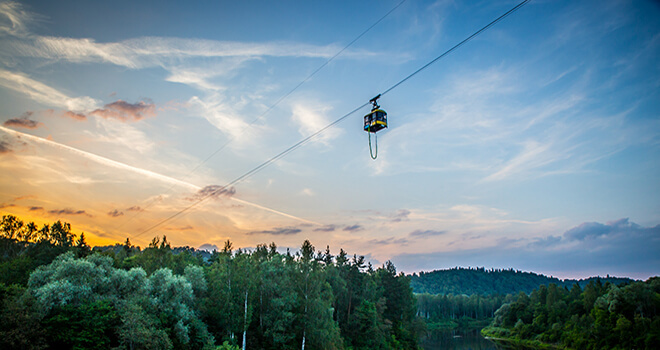 In hanging tram (43 meters above the river) you will be able to jump and experience a breathtaking seconds of freefall! It will definitely be one of the most memorable events in your life. 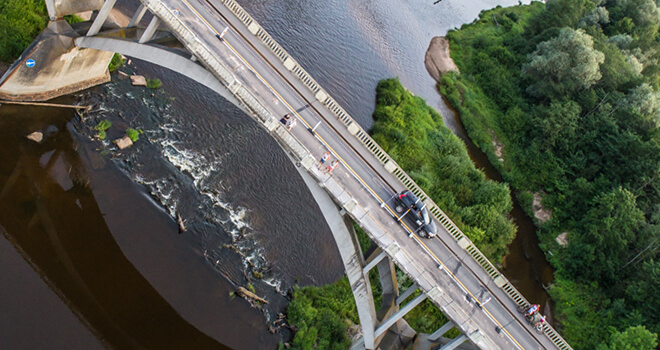 You will be picked up from your hotel and after 1 hour drive you will be in Sigulda town where the bungee jumping takes place. Bungee jump is very popular and if you are a fan of extreme activities than you should try it. This can be as a surprise gift for your friend before the wedding or can be a great way how to overcome your fear of the heights. Before jump you will hear a safety instruction and of course you will get all necessary equipment.